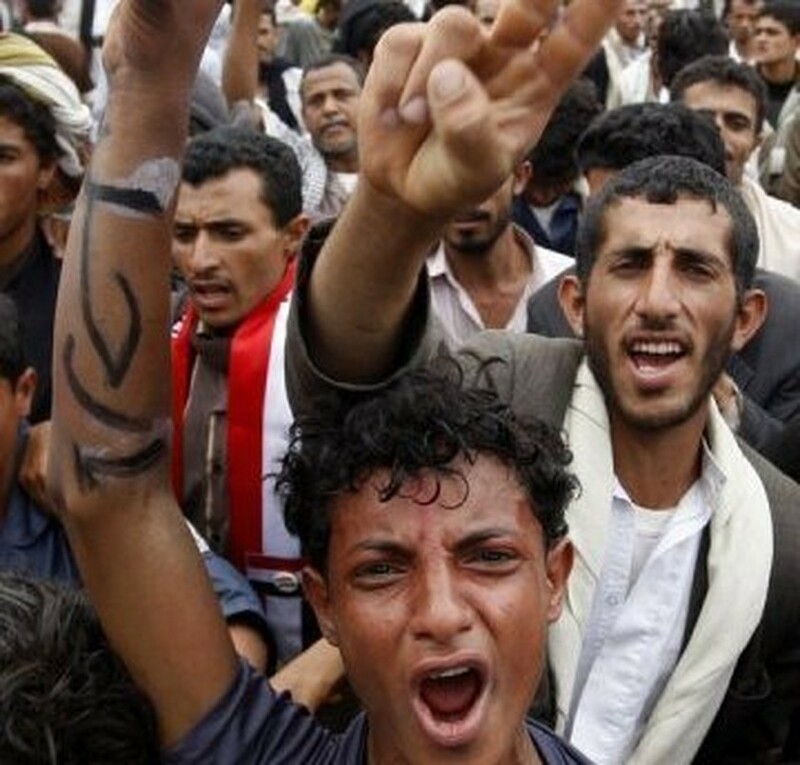 Dissident tribesmen have fought loyalist troops in the Yemeni capital for a third straight day leaving bodies littering the streets and sending thousands of residents fleeing. Witnesses said a warplane broke the sound barrier over Ahmar's hometown of Khamr, 80 kilometres north of Sanaa, in an apparent attempt to intimidate the tribesmen of his Hashid confederation. The Senegalese president's office said late Thursday that Saleh had asked President Abdoulaye Wade to approach France and the United States in a bid to get a ceasefire followed by elections in Yemen in which Saleh would not stand. "President Saleh requested President Wade's intervention with France, the United States, Saudi Arabia, the United Arab Emirates and other countries to create the conditions for an immediate ceasefire and the programming of free and transparent elections whose results he pledges to accept," the office said in a statement received by AFP. Saleh "said he did not intend to stand in these elections", said the statement issued after the embattled Yemeni leader held a telephone conversation with Wade, who is chairman of the Organisation of the Islamic Conference. Senegal indicated that it was prepared to accept the Yemeni leader but Saleh retorted that he "preferred to stay in his country". Loyalist troops smashed a long-running sit-in in the centre of Taez earlier this week, leaving more than 50 protesters dead, according to the UN human rights office.